Our favorite new lip sensation is Burberry’s new Liquid Lip Velvet lipsticks. Its non-drying formula keeps your lips supple and moisturized, the perfect remedy for winter’s harsh dry days. 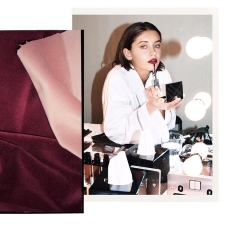 The brand recently announced that fresh-faced model and daughter of Jude Law and Sadie Frost, Iris Law as the star of its latest beauty campaign for Liquid Lip Velvet lipsticks. 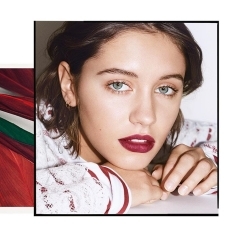 Shot by Angelo Pennetta in London, the Liquid Lip Velvet lipsticks campaign keeps with Burberry’s signature, effortless approach with the 16 year old British model Law wearing minimal make-up, focusing on a very striking and chic red lip. 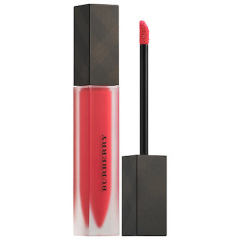 The 14 shade collection was developed with an innovative formula that merges rich pigment, smooth application, and a whipped, creamy texture for a bold, velvet finish that lasts for up to eight hours.